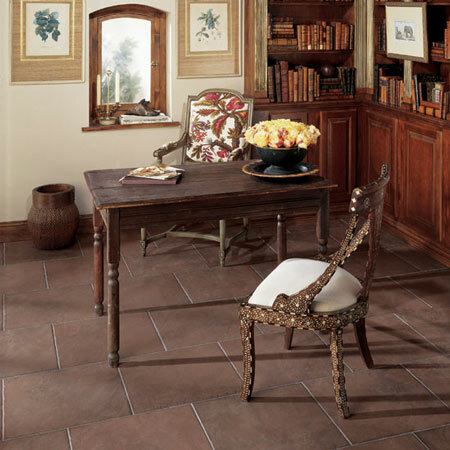 Though Serrano looks like natural slate, it's actually a porcelain interpretation. Each tile is glazed repeatedly to recreate the complex, layered look of gently worn natural stone. Like slate, Serrano comes in a wide range of colors - from rich dark hues to warm neutral tones - that make it easy to complement any decor. And because it's made of porcelain, Serrano is durable enough to be used in outdoor areas as well as living areas, kitchens and baths.